We grow a wide selection of flowers for weddings and events. We give a personal touch and work closely with the customer. 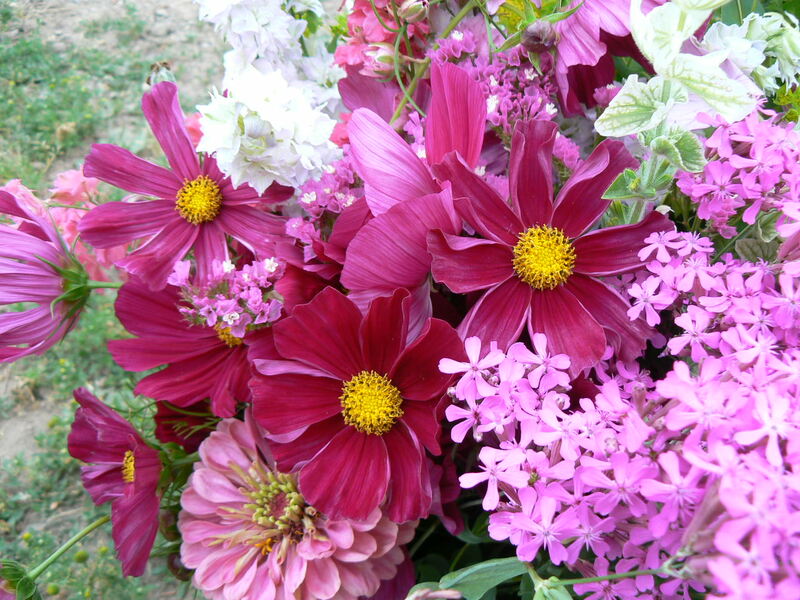 We specialize in seasonal flowers that we grow ourselves although we are able to supplement with flowers from other local vendors. Contact us to discuss your event and receive a quote. 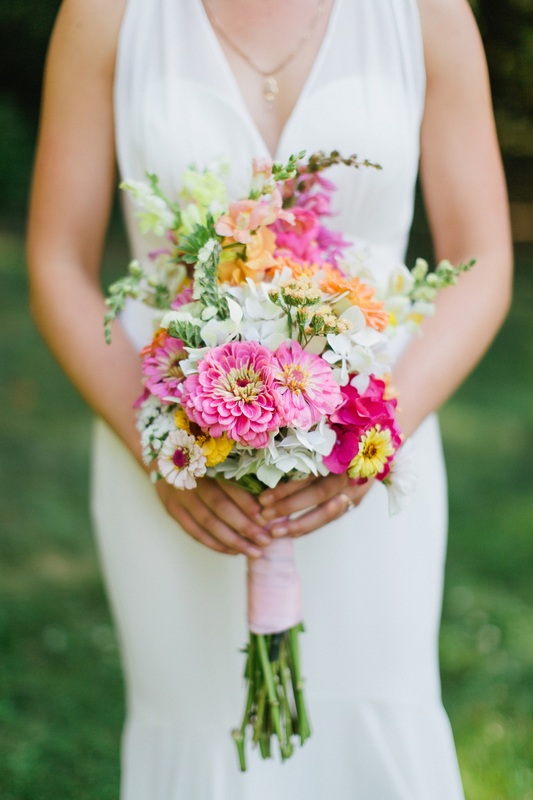 We can act as your full-service florist or sell you buckets of flowers for your DIY wedding. As well as providing full service for weddings (bridal bouquets, boutonnieres, corsages and table bouquets) we can provide buckets of mixed flowers for you to arrange. Please contact us through the website and we will get back to you or call us on our cell phones: Polly (971) 998-5595 or Lyn (503) 568-5760. Bouquet made with Pumpkin Ridge Gardens flowers. For more photos of Jonathan and Laura’s wedding, go to Anna Jaye Photography.